On February 26, 1993, the World Trade Center was attacked by terrorists for the first time. At 12:18pm, 1,500 pounds of explosives were detonated in an underground parking garage below 1 WTC. Six people, including a pregnant woman, were killed in the attack and thousands were injured. On this day, the World Trade Center Memorial Foundation remembers each of the victims of the 1993 attacks and extends our condolences to the families of those who were killed and our thoughts to all who were affected. I wish I could say we’ve since forgotten over that long period of time. But it seems like we instantly forgot, 15 seconds later. 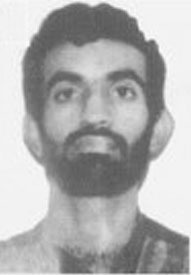 As we know, the feds could have stopped it because they had–in their custody–El-Sayyid Nosair, who murdered Rabbi Meir Kahane and who was part of the Al-Qaeda cell that did the bombings. Nosair had piles of documents disclosing the plot, inside his house. The feds never looked at them because they didn’t care that this Muslim man murdered a U.S. citizen they looked at as a crazy right-wing rabbi (many of whose suggestions are, today, official policy of the left in Israel that so hated him then). And the INS, which didn’t track visa violators, could have prevented it–had they looked into Mahmud Abouhalima, one of the other perpetrators. He was driving a cab in Manhattan, instead of fulfilling the requirements of his agricultural worker visa. As we know, nothing worth picking grows on the streets of New York. And there were so many other screw-ups. But nothing was done to address them, the same way President Bush has done nothing to address the 9/11 concerns–except to make us less safe and invent a giant, useless bureaucracy. What a sad thing to read today, 2/26, the 15th anniversary of the first WTC attack. I’m waiting to see if any of the NY newspapers remembers this anniversary. President Clinton could have said that there were no major terrorist attacks on U.S. soil since 1993, the same BS that President Bush keeps telling us. But there have been no such major attacks, not because of Clinton’s or Bush’s competence, but because of Al-Qaeda’s patience and cunning in planning attacks that we least expect where and when they happen. And if you look on Google News, there are few stories in any media about this important, but forgotten, anniversary. We were lucky that on February 26, 1993, they failed to achieve the catastrophe they sought. But since then, they did succeed in murdering thousands of Americans in a few fell swoops. And they will succeed again, because we’ve done nothing about it. And instead of limiting their fellow co-religionists, we’ve welcomed more of them to our shores and kowtowed to them inside our borders. Instead of saying, “Never Forget,” I’m asking you to try to remember. Thank you for printing part of my e-mail. I checked the Daily News, NY Post, NY Times, and Newsday online for any mention of today’s anniversary. Only Newsday had a story. This was surprising since Newsday is the most liberal of the bunch. And a local NY paper which is given out free every morning at subway stations had an article on the anniversary, even mentioning all 6 of the victims by name. Well, I guess the NYDN and NYP were too busy calling the photo of Obama in Islamic African garb a “smear,” which is hard to do since a) he did, indeed, wear the stuff–it’s not photoshopped, and b) he willingly put it on without a gun to his head. Let’s not forget the names of the six people who were murdered in the attack: John DiGiovanni, Valley Stream, New York; Robert Kirkpatrick, Suffern, New York; Steve Knapp, Manhattan, New York City; Monica Smith, Seaford, New York; William Macko, Bayonne, New Jersey; and Wilfredo Mercado, Brooklyn, New York City. Rabbi Meir Kahane tried to warn us for years about the growing Islamist threat. He was called a bigot and a nut. He was right all along. Debbie is right about the Feds ignoring the Nosair terrorist cell connection. I remember reading an investigative piece in The Village Voice sometime after Nosair was arrested. It detailed his involvement with Islamic radicals in the NYC area. They turned out to be the people who attacked us in 1993. If the Voice reporter knew about these people, surely the Feds did too. They could have done something about this cell and prevented the WTC attack. Thank goodness Bill and Hill were co-protecting us as co-presidents during this time. Otherwise we could have wound up with a 9-11 type of thing. Kahane was a kook and an extremist although having said that, I wish the despicable Olmert had a bit of Kahane in him when it comes to dealing with the Palis. Several of Rabbi Kahane’s speeches, appearances, interviews are available on the Internet, YouTube especially. Yeah. It was certainlly a miscarriage of justice what happened to Rabbi Kahane. Having said that I do not think Rabbi Kahane was a good man and agree he was a complete nut and I actually was on a site for a while by somebody who worked for him and their mix of ideas are just crazy. They also falsely accused me of hating women and abusing women NONE OF IT TRUE simply because I expressed concerns about feminism and they banned me and then said VICIOUS THINGS BEHIND MY BACK when I could not defend myself which could’ve been side before I was banned but they are BULLIES. This kind of stuff though goes on in the Jewish Press as well the paper Kahane wrote for. The Jewish Press CLAIMS THEY CARE ABUSE, however, they publish articles by RABBI SHUMLEY BOTEACH TO GIVE ADVICE TO SINGLES. Just peachy. THe Rabbi who thinks Michael Jackson was a great father and defended this sicko should BE GIVING ADVICE TO ORTHODOX SINGLE MEN AND WOMEN. Just what we need and you wonder why Orthodox Judaism in NY is such a mess. This kind of ruining marriges on false charges though which goes on in the Jewish Press played out in his COMPLETE DISTRUST OF THE JEWISH FAMILY. If you listen to Kahane’s speeches you see he believed all the propoganda about arab birth rates and their number even when they were exaggerated and completely false as Debbie just mentioned (His followers are the same) and always are talking about the high arab birth rate which is exaggerated and have nothing on YOUR OWN PEOPLE’S BIRTH RATES. Of course when you don’t trust the institute of the family it will lead to problems in any democracy but Kahane REFUSED to see his problems when it came to family issues which led to his crazy conclusion of NO VOTING FOR ANYONE OTHER THEN JEWS and his 50 year prison sentence for jewish-gentile relations which was really a defense mechanism for his liberal views on Jewish divroce that he didn’t want to be found out. He also was again any NONJEW living in Jerusalem and anyone who disagreed was NOT FOLLOWING THE TORAH AND A HELLONIST even though Israeli Rabbi’s condemed his interpretation of the torah. Dennis Prager called him a jewish Facist and I heard the interview on you tube and when Kahane has no answer he just says I don’t care and just finds some imperfection in the other to justify his behavior which regardless had no justification. 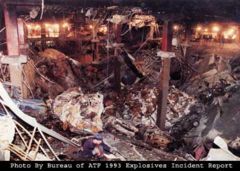 I had forgotten the date of the first WTC bombing-no reminders except from sites like this. I hope we can prevent someting like this from ever happening again. Funny thing is there is if you do your own research you will find a lot of holes in the official 9-11 stories that the government refuses to acknowledge to this very day. A good place without very much trolls is the Let’s Roll Forums I have visited that get into very interesting topics like the NBTS shows no record of the 9-11 airplanes actually departing from the airport. Another thing that is interesting is why didn’t air traffic controllers warn the Air Force when the supposedly commercial jetliners went off course. ATC would notice the commercial jet liner going off course and would try to attempt to make contact with the pilot and if failing to reach him for whatever reason the ATC would consider the plane hijacked thus alerting the Air Force which if the pilot refused to respond to the AF to turn around from the urban areas which are a no fly zone the jetliners would be shot down. That is what should’ve been shown on TV is the jet liners being shot down short of their target after refusing orders by the military to turn around. Also if the 1993 bombings succeded the results would be FAR more deadly then the 9-11 we have today as no one would make it out alive except those that happen to be near the front doors. so the government totally invented the terrorists story to cover it up because they don’t want depressed people getting the idea of hijacking a jetliner to kill themselves. I am surprised we haven’t had a lot of incidents of stressed pilots who have manic depression from years of their jobs deciding to take it out on others. Remember the flight attendant who jumped the emergency chute taking two cases of beer with him after swearing at the passengers over the intercom? At least that wasn’t a violent incident. The bottom line is instead of worrying about terrorism we need to focus on suicidal pilots or FA who are stressed out and may take their problems out on others in violent ways. The FA have the layout of the airplanes in their heads and could easily take over the controls of an airplane after observing how the pilot flies it if they really wanted to try something stupid.